How does your Catholic faith affect the way you live your day-to-day life? Our Catholic faith is very much intertwined into our daily lives. We pray before school, before meals, before bed. I listen to Catholic radio stations almost any time I am in the car. My son has been in Catholic school since Pre-K, he is now a Freshman, so he has assignments related to the faith, prayers at all meetings and events we attend at the school, and references to our faith throughout all aspects of his education. Tell us about a moment in your life when your Catholic faith transformed your understanding of yourself, your purpose and others. My faith is constantly transforming my understanding of our purpose, however there were actually two specific times during a homily when the priest said something that completely turned around my thinking and helped me to comprehend the Catholic concept on the subject. One of those times was in discussion of suffering as it affects the whole body of which we are all a part. The other time was in regards to the financial gifts God gives us, and the idea that God gives us all varying amounts of resources, but ultimately it all belongs to Him, we are just the keepers and managers of these resources. What lesson did you learn from that moment? The lesson I learned in hearing about the Catholic Church’s teaching on suffering was that it wasn’t just a trial or tribulation to endure, but a gift from God given to us to benefit humanity as a whole through the cleansing and redemption that comes from suffering. Also, I used to believe that financial success was a direct result of hard work, and that the person who had worked hard to achieve that financial success was entitled to all the benefits of their labor. Although I have always been somewhat generous to charity and to others, I felt it to be my choice and that I didn’t owe anyone any piece of the fruits of my labor. Hearing the priest talk about how God entrusts different people with different financial freedom helped me to understand that even the success that comes from hard work is still a gift from God, and that every penny anyone has earned still ultimately comes directly from God. This has helped me to understand that those who are less fortunate are in fact entitled to “my” money and gifts, as everything that exists on this earth belongs to us all equally as children of God. How do you grow in your Catholic faith? A little over a year ago I became a Lector at my church and ever since, I pay much more attention to the readings, both while attending Sunday mass or listening to mass on the radio on the way to work. Also, listening to EWTN Radio and The Catholic Channel, and following various Catholic bloggers on Instagram, has actually truly helped me to grow in my faith. Whether it be from things I learn about the Catholic church from these outlets, from listening to or reading the insightful commentary of these various personalities, or just by being immersed in the faith while I am driving and listening or while scrolling through social media. I also set “Catholic Goals” for myself, such as learning a particular prayer, going to confession more frequently, or most by recently praying the Holy Spirit Novena with my church up until the Feast of All Saints Day. I have the most fun just laughing and being with my husband and son. My favorite thing to do is travel! I love going to new places to explore new experiences, or visiting familiar places to relax or enjoy activities I enjoy. I have also found new fun in attending High School Football Games and Marching Band Competitions, as my son has started high school this year and joined the band! Three words that describe you — go! I’m currently obsessed with: Catholic Radio! My favorite part about my life right now is: first and foremost my role as a mother that God blessed me with 14+ years ago. I have particularly enjoyed the positive transition to high school my son has made this year, and all the new experiences it has brought to our family! 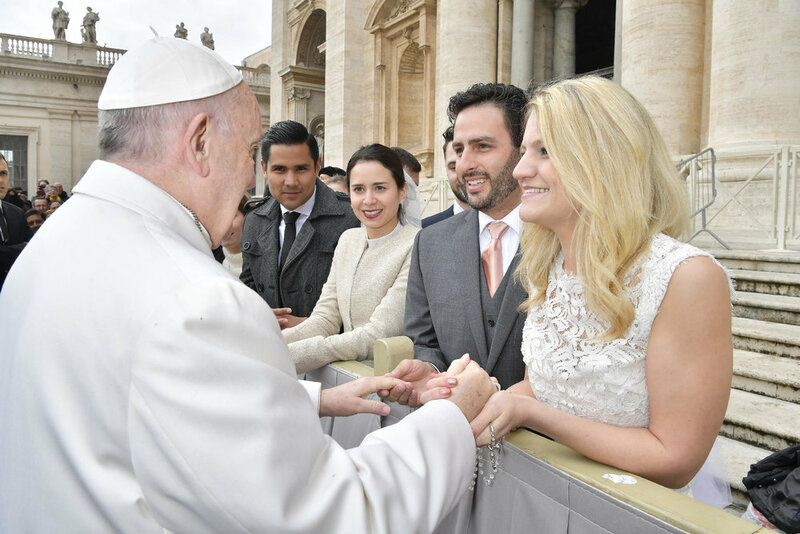 The advice I would give to the millennial Catholic woman is: Trust the faith, it has your best interest at heart, when the rest of the world wants you to believe only YOU have your best interest at heart!